Welcome to the “Bottega dei Miracoli - “The Shop of Miracles” - Quality and Equality”, a wonderful social and commercial reality standing right next to the most famous Tower in the world! 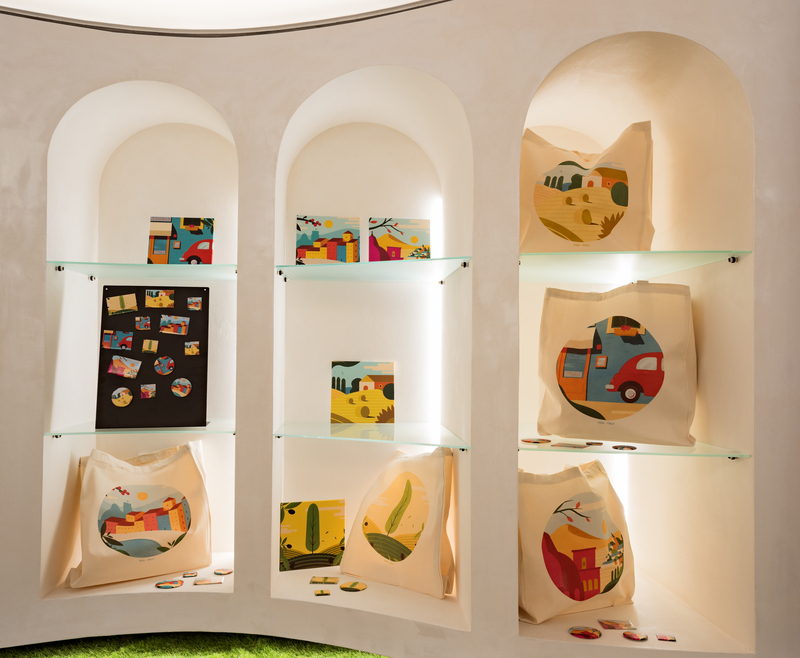 It is not only a shop which offers high quality articles, local and handmade products made in the finest Tuscan and Italian firms, but it is also a concrete opportunity for young people with Down's syndrome to be introduced into the world of work. Only a little shop but which blends quality with environmental and social sustainability. It stands in the Piazza dei Miracoli next to the ticket office just behind the Leaning Tower of Pisa. The shop is open every day (including Sundays and non-working days) from 9 a.m.- 7 p.m. It is supported by the diocesan Caritas of Pisa (a religious charity) which was granted the sum of 80.000 euro from the Catholic Church's '8 per 1000' (tax contribution) fund in order to redevelop, modernize and furnish this empty building belonging to the “Opera della Primaziale Pisana” who has made it available, free of charge. The Social Cooperative “Alzaia” has been entrusted with the management of the shop; this third sector, Pisan organization has arisen out of a collaboration between “ Il Simbolo” Cooperative and the Italian Down Syndrome Society (AIPD) which promotes the introduction of disadvantaged workers into the work force. On the shelves, you can find the famous chocolate from Modica (Sicily) using rare, fair trade materials, made by young women who have been victims of violence in the Don Dino Puglisi laboratory. And the pouches and other handmade items come from the “Made in Prison” project realized by female prisoners in Lecce's jail. Our shop can also offer you wine and biological farm produce from the Terre di Loppiano, a firm which follows the ideas of the Movimento dei Focolari's commmunal economy, pasta and a whole lot more.